These photos were taken on my recent trek to the shrine of the Sufi saint Sidi Chamharouch at 2350 metres on the slopes of Mount Toubkal in Morocco's High Atlas mountains. Sidi Chamharouch is the sultan of the jinns and the shrine, which is a popular pilgrimage destination, dates from pre-Islamic times. The veneration of the saint includes elements of animism typical of the folk Islam found in Morocco, notably in the Gnawa brotherhoods from sub-Saharan Africa and the Master Musicians of Jajouka from the marijuana-growing Rif Mountains in the north. Morocco's High Atlas shares with Tibet a predilection for the animistic - Tibetan Buddhism is heavily influenced by the shamanistic Bon religion - and the scenery also bears a striking resemblance to the Land of the Snows. This visual similarity was exploited by Martin Scorsese who used the area seen in my photos for location filming of Kundun. This movie portrayed the flight of the Dalai Lama into exile and was scored by Philip Glass. The scenes depicting the Potala Palace in Lhasa were filmed around the village seen above. (An excellent documentary on the making of Kundun can be viewed via this link). 'I had been playing music for about five years, and became increasingly drawn to an intense, slow encompassing sound. I knew that music could encourage an altered state of consciousness, and with Sunyata I wanted to make a clear statement about music's role as a psychoactive stimulus'. 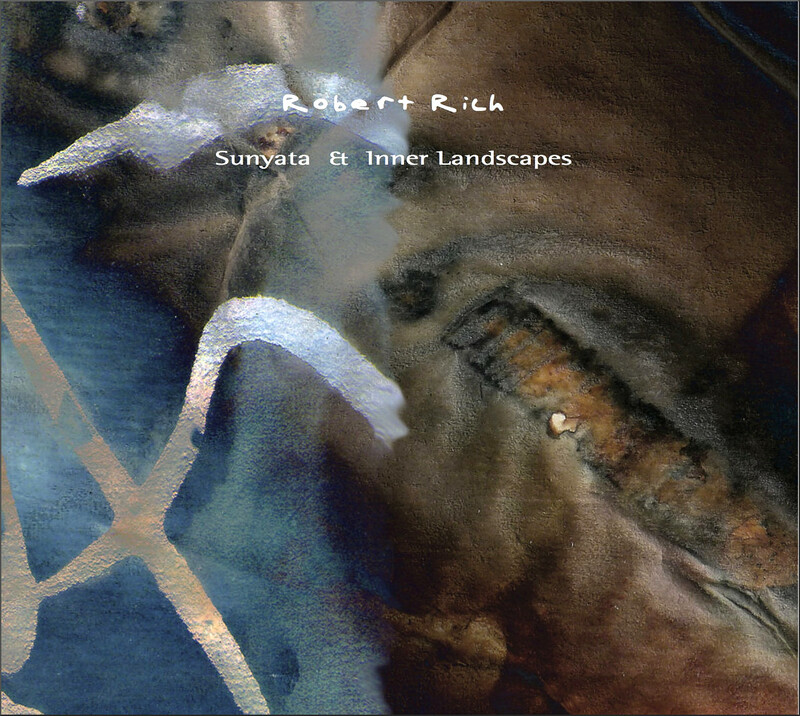 The three movements of Sunyata were released as CD transfers by the Hypnos label split across two must-have Robert Rich double albums, Sunyata & Inner Landscapes, and Trances & Drones, and are also available as downloads from Bandcamp. There is an audio recording of a recent Robert Rich sleep concert on YouTube with a thought-provoking introduction by the composer. The entire concert recording runs for 7 hours 33 minutes (!) - the music starts at 11'30". Sunyata translates as 'emptiness'. In Mahayanan Buddhism sunyata is the voidness that constitutes ultimate reality. It is not the negation of all existence, but the negation of the implied existence which masks true reality and out of which all delusions of substance, distinction, and duality arise. Meditation on this non-duality is central to Tibetan Buddhism. Shortly before he fled Tibet in 1959 the Dalai Lama passed with first-class honours his geshe - Tibetan Buddhist academic degree - for which he had studied sunyata and non-duality. Negating implied existence is not an arcane metaphysical concept: rather it is something everyone can learn from. We live in a world of implied duality - good or bad, right or wrong, friend or unfriend, 0 or 1. Nowhere is this more evident than in the Brexit debate which raged as I trekked in the High Atlas. With the constituency cleanly split in true binary fashion between 'remainers' or 'leavers', both groups are engaged in a war to the death of misinformation and abuse. The shameful behaviour of both sides means not only has the koan of the UK's relationship with the EU not been solved, but it also means the self-paradoxical puzzle will now never be solved satisfactorily. My peers who live an implied existence in the parallel universe of social media will dismiss this typically abstruse post as head in the clouds escapism. Quite possibly: but I take solace from this observation by the Indian Hindu mystic and saint Ramakrishna - "If you're going to be crazy, it's better to be crazy from chasing after spiritual than material things". * It is worth noting that in all the brouhaha from Deutsche Grammophon and the BBC surrounding Max Richter's recent 8 hour long 'Sleep' album and its all-night concert broadcast, no acknowledgement at all was made of Robert Rich's pioneering of the niche genre four decades earlier. My accommodation in Imlil was again in Dar Adrar which is presided over by the inimitable Hamid. All the photos were taken on my iPhone 6 which has surreptitiously asserted itself as my camera of choice in adverse conditions. It also conveniently dispenses Robert Rich albums and other fine music via Bluetooth to my AKG N60NC headphones. New Overgrown Path posts are available via RSS/email by entering your email address in the right-hand sidebar. Any copyrighted material is included for critical analysis, and will be removed at the request of copyright owner(s). Very much enjoying this blog since I came across it a few weeks ago via a tip by jazz writer Ted Gioia. Have gone though some months back counting maybe 20 posts or so. Thanks for that Pau, it's appreciated. As Libby Purves wrote: "To run radio you must be like an old-fashioned publisher, a 1930s Gollancz or Faber and Faber, working on faith and idealism and wanting to share what you yourself love. All that you can do is make - and publicise - the best and most passionately well-crafted programmes you can think of. Ratings have to be watched, but calmly and with a sense of proportion. You have to believe that if even one person is swayed, or inspired, or changed, or comforted, by a programme, then that programme has been worthwhile". What a great post, especially as I'd never heard of Robert Rich. Not quite the same thing, but I've been thinking about putting on a "relaxation" concert in a space newly available to me to experiment with trying to do something like music therapy on a community level here in my small town. And I just discovered Ted Gioia's Twitter feed mentioned above - lots of wonderful music links. And once again - have to say you have a great eye for pics!